Last week we posted a blog on the Benefits of Recycling. As an electronics manufacturer, recycling plays an extremely important role in operations. Especially as the demand for electronics recycling continues to dramatically increase. Small business owners and consumers need reliable outlets for e-waste solutions. Below we explore several resourceful options. The use of computers and mobile devices continues to grow exponentially. According to an article posted on the U.S. Census Bureau, reports show “a stunning increase in reported mobile broadband usage” within the U.S.
For example, 2016 data revealed that two-thirds of Americans access the internet through mobile devices. Seems like that number must be much higher by now. It is hard to image anyone without a mobile device these days. 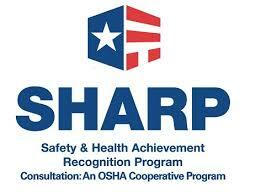 The Pew Research Center also reported that 84% of adults in the U.S. say their household possess a smart phone. Furthermore, 80% say they own a desktop or laptop computer. Combine this with additional household electronic appliances such as washers, dryers, dish washers, and microwaves. In addition, throw in all of the big-screen TVs. The National Conference of State Legislatures claim that the average household contains 24 electronic products. To summarize, that’s a long list of electronics. Millions upon millions. When all of these devices become unwanted and obsolete, then what? Where do all of these electronics end up? With these staggering household numbers of electronics ownership, just think of the amount of electronics at the average small business. Especially with the increasing reliance on electronics to run a business. Electronic waste or e-waste is a growing concern for all small business owners. How is e-waste defined? 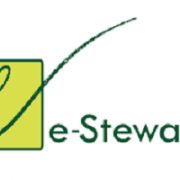 We turn to the e-waste experts at e-Stewards, an e-waste certification agency located in Seattle for a definition. E-waste stands for electronic waste, and is what your company, or institution generates when you replace or otherwise need to dispose of electronic assets such as phones, tablets, servers, monitors, copiers, computers, printers, fax machines, etc. Growing e-waste concerns places a responsibility on every professional office and small business owner to figure out what to do with electronics once no longer useful. 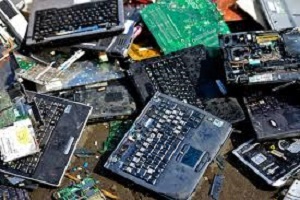 So, what are small business to do when it comes to electronics recycling? 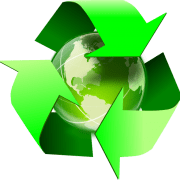 Many times a small business either just doesn’t possess the necessary information or education on proper recycling practices. In other cases, employees get extremely busy. Recycling just isn’t front of mind. Designate an internal leader to take charge of your recycling efforts. Individuals with a passion for the environment and recycling serves well as an internal champion. Also, take advantage of the many resources available for electronics recycling at your organization. The Environment Protection Agency (EPA) offers helpful information of recycling options for electronics such as computers and devices: Click here. At the bottom of the page shows a list businesses that accept electronics for recycling. 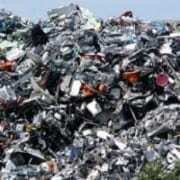 For example, Best Buy offers electronics recycling, For more info click here. 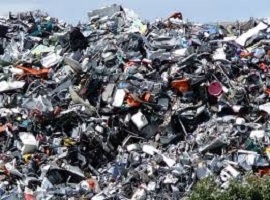 Another option, find a local company that offers electronics recycling services. Conduct a Google search for “Electronics Recycling” to check out local options. Many communities offer free recycling events. 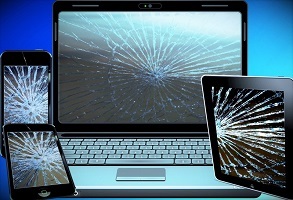 Thanks for reading our post on Electronics Recycling. Hopefully you find theses resources helpful.